First Design in a While : Happy Holidays! By popular demand, a Holiday baker. She still took me 3 days to make and upload with a baby in my lap, HA! Maybe I will be able to get some very simple designs going here soon? 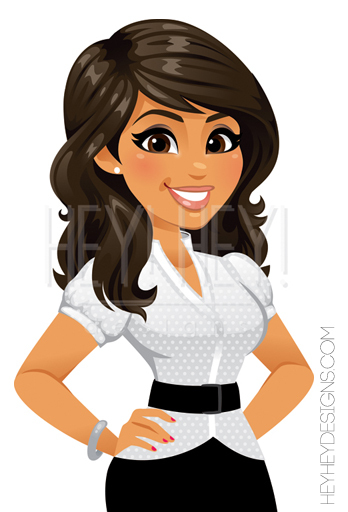 Istock Custom Edit for Shobha at Estee! 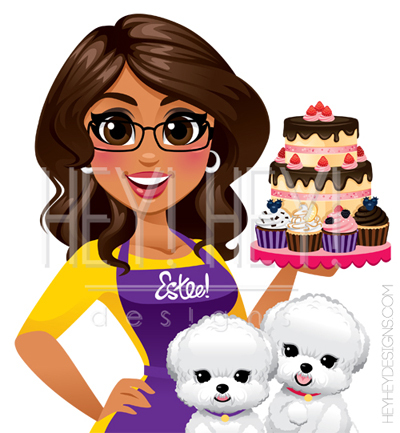 She loves her two bichons and making sweet treats! Istock Custom Edit for Porsha! 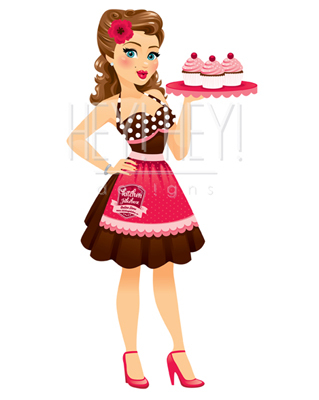 Every time I make a cupcake design I need to find the closest cupcake shop a.s.a.p! I am excited that this Istock Custom Edit collaboration will soon be a 7 ‘ tall cut out in their main store. We placed the logo on her apron.